The review was initiated by Minister D’Ambrosio last year following the Department’s failed prosecution of VicForests for rainforest logging breaches. The review was undertaken over five weeks commencing mid-September 2018 and, although delivered to the government in late October 2018 just prior to the commencement of the caretaker period, it has taken until now for the report to be released. The time taken for the review was too short to conduct a thorough independent evaluation of compliance and enforcement or to conduct adequate consultation – for comparison a review of compliance and enforcement at EPA Victoria in 2010 took six months – but the panel conducting the review have made a good start in grappling with the multiple failings within the department. “What is abundantly clear is that the system of policy, legislation and regulation is dated, complex, convoluted – indeed labyrinthine – and difficult to use, and DELWP is neither an effective or respected regulator. Journalist Lisa Cox has written a very good summary of the review findings for the Guardian. The Victorian government has accepted all of the Review findings and has already moved to establish an ‘Office of the Conservation Regulator‘ within the Department. Our response to the review and recommendations? Firstly, the review findings and the breadth of the recommendations the Panel has made indicate what should have already been clear – the regulation of logging falls well short of best practice. This is welcome. We are disappointed however that the review did not take more seriously the close relationship between DELWP and VicForests and the problems this creates for effective regulation. 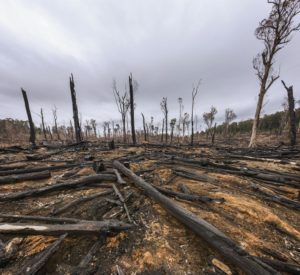 Although recognising the unique ‘one on one’ relationship between those in the department for compliance and VicForests, the Panel seems to have been too ready to dismiss claims that this close relationship has lead to regulatory capture. This hazard – the regulator being too close to the regulated – is a notorious risk for any system of environmental regulation. Taking this issue more seriously may have meant a less enthusiastic embrace of the idea that the issues identified could be remedied within the Department and a more thorough consideration of the need for an independent regulator, perhaps in a more detailed follow-up inquiry. The need for an independent regulator was a strong theme in the review of the Victorian EPA in 2016 and is also a prominent feature of proposals for an overhaul of Commonwealth environmental regulation. A further point is that even with more effective regulation of logging under timber harvesting regulations, other parts of the regulatory system need to work effectively to protect threatened species and other environmental values from logging. The review takes as one of its case studies the Greater Glider, listed as a threatened species in 2017 but still without an Action Statement under the Flora and Fauna Guarantee Act 1988, despite section 19 of the Act requiring one to be prepared ‘as soon as possible’. This situation, as the Independent Review notes, means that despite being listing as threatened, this status is yet to be reflected in the regulations covering logging. Finally and more fundamentally, it’s important to point out that the scope of the review meant that they specifically did not consider the foundational issues with logging in Victoria’s public forests. Although the review has recommended a number of reforms to forests regulation, these won’t resolve irreconcilable conflicts between logging, threatened species, climate impacts and opportunities for carbon sequestration, and protection of water supplies. These deeper conflicts were beyond the terms of reference of the review and will not be fixed by its recommendations. Previous ProjectCall for a crackdown on toxic coal pollution!